Whenever the question of who is the best investor in the world is asked, Warren Buffet is the answer many people will give. Buffet has a successful track record over decades and his firm is one of the most prestigious and well-known. However, the best investor in the world is someone many have never heard of, and who rarely speaks to the media. He is mathematician James Simmons, founder of hedge fund Renaissance Technologies. Its Medallion fund has averaged gains of more than 35% every year since 1990. In the same period, Warren Buffet has returned an average of 21%. One reason why Renaissance is successful is because it uses technology to make trading decisions. Most of its employees are graduates in computer science and mathematics. They spend hundreds of hours studying and analyzing patterns, and creating algorithms to execute trades. But you don’t need to be working for a hedge fund to use algorithms. If you’re a financial trader, you can also benefit from algorithms to help you trade better. This article will show you how. An algorithm is a set of rules that are aimed at solving a problem. Algorithms are used in many fields today. For example, when you perform a Google search, the results you see are ranked by algorithms. In trading, algorithms are created by incorporating technical indicators. For example, if you believe that a buy signal emerges when the relative strength index (RSI) reaches 70, you can create an algorithm that will open a buy trade when this level is reached. You can also create algorithms that incorporate multiple indicators. To develop algorithms, you need to have a background in software development or in computer science. The key technical skills that you need are in Python and Matlab. However, since most people don’t have these skills, below are other ways to incorporate the algorithms in your trading. MetaTrader is one of the most popular trading platforms in the world, available from many forex brokers, such as easyMarkets. A key feature of Metatrader is the Expert Advisor. This is a program that will automate aspects of trading, based on pre-configured rules. You can create your own advisors or buy them from developers. The biggest marketplace for Metatrader expert advisors is the MQL5 platform, which is owned by the developers of Metatrader. Before using an Expert Advisor, the first step is to know what type of trader you are. This is because you want a robot that is compatible with your trading style. After this, you should go to the MQL5 market and search for the Expert Advisors, or robots, that meet your criteria. Here, you will find tools with a cost that range from free, to tools that cost thousands of dollars. Before you spend money, you need to visit the description page and read the reviews and comments from its users. You can also use Google to find other external reviews. 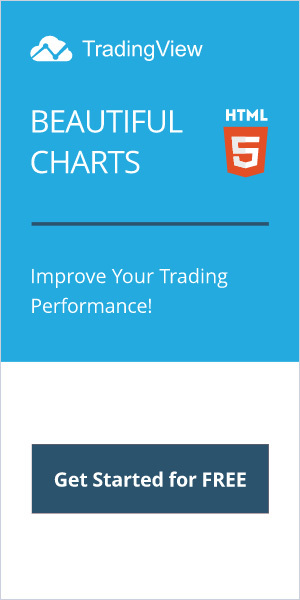 If you see good reviews and decide to buy it, you should then export it to Metatrader. To do this, you should go to the File menu and then select the Open data folder. Then, you should select the folder with the data. To ensure that the robot has been installed, you should go to the Navigator option and then to the Expert Advisors. After this, you should just drag the robot to your preferred currency or asset. To ensure that it works, you should also enable the Auto Trading option. To use Expert Advisors successfully, you should first use the tool with a demo account for a few weeks, to observe the success rate of the robot without risking real money. This is important because no robot is 100% accurate. Second, you need to continually modify the robot’s rules as you trade. For example, you can change the original timeframes that the developers created, to suit your trading style.